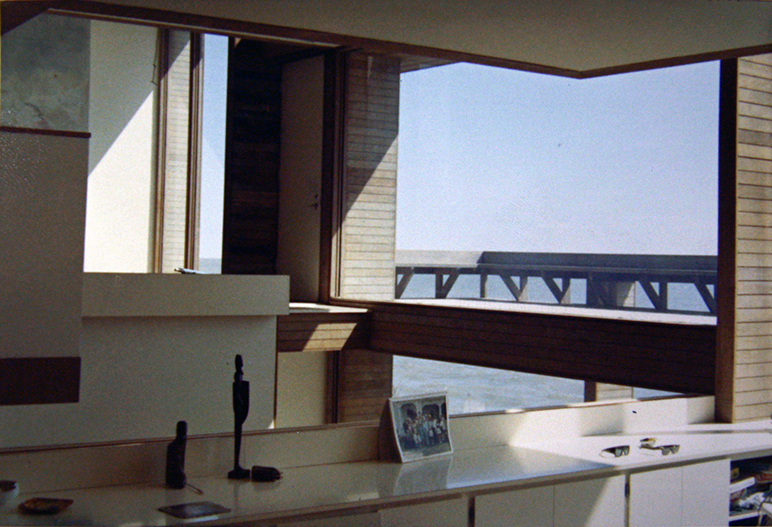 Paul Rudolph’s oeuvre was large: he did many projects, built & unbuilt, over a half-century career - and the over 150,000 drawings that he and his team produced (with no computers in sight!) are testament to his energy & activity. And his oeuvre was broad: he worked on everything from government centers to churches to guest houses to a dentist’s office. Further, his oeuvre varied: Many people only associate him with concrete, used in bold and/or sculpted forms. But Rudolph worked in all kinds of materials (including some handled with great delicacy), and his formal vocabulary varied with the project, from severely volumetric to balletically nimble. 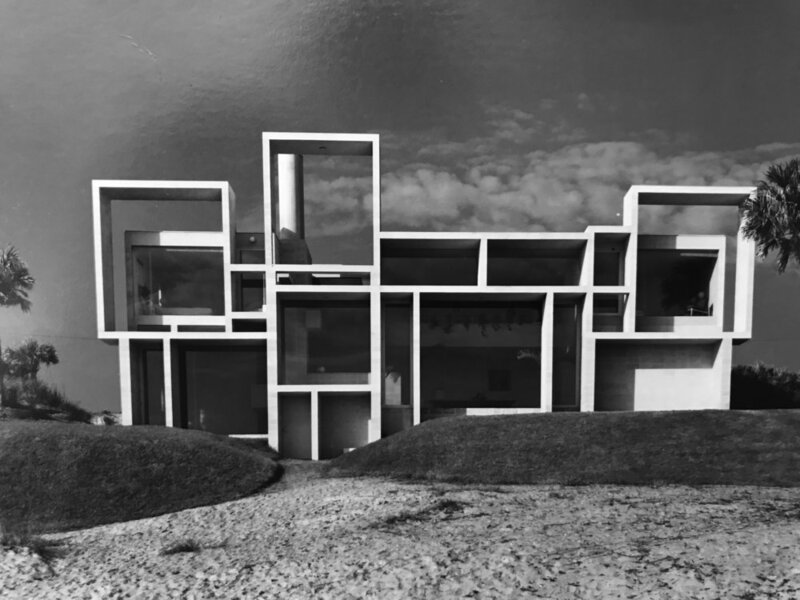 For facade design, one of the formal motifs he explored—over the decades—could be characterized as a Mondrian-like composition of overlapping/interpenetrating rectangles. 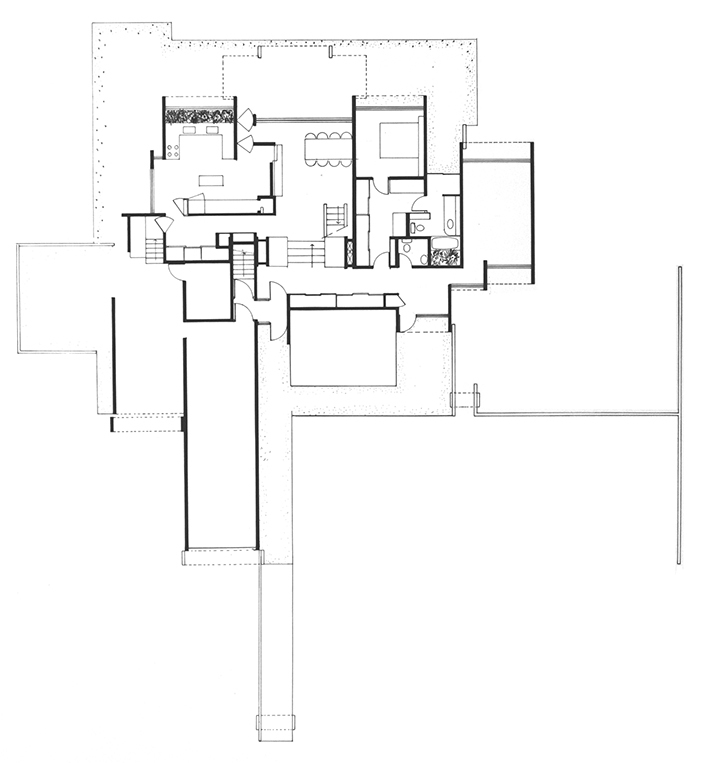 In one of his very greatest, most iconic designs, the Milam House (Jacksonville, Florida, 1961), he uses rectangles that are made of concrete block (for the vertical elements) and concrete slabs (for the horizontal elements). The rectangles, facing the water, have deep recesses which work very well for sun-shade, and they give the building its signature “Mondrian-ian” look. The faces of the rectangles are all in the same plane. Decades later, Rudolph returned to these motifs in the 58th Street elevation of the Modulightor Building in New York City (which commenced construction in 1989). It is the home of the Modulightor company (that Rudolph co-founded), and the place where he had his office for over half-a-decade. But there, instead of the rectangles having a primarily planar relationship, they move back-and-forth in space, receding and advancing: Rudolph is sculpting with those elements. Also, instead of masonry & concrete (as at Milam), the Modulightor facade is made from a very different pallete: primarily steel and glass—and that gives it a significantly lighter feel. It is Mondrian meets Mies---but sculpted with significantly greater spatial complexity than Mies brought to most of his facades. More than a half-decade after Milam, in the Parcells Residence, Rudolph returns to the Mondrian-ish mold. 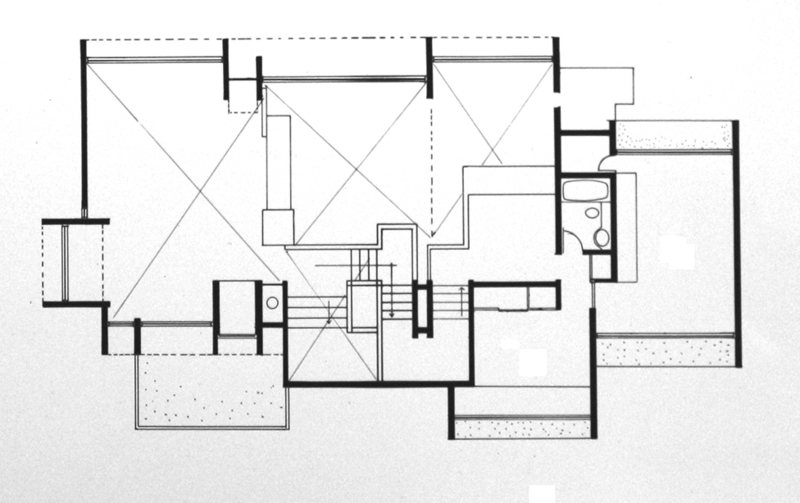 As with his Callahan Residence project (of 1965—approximately the same time) Parcells is also a symphony of interpenetrating & adjacent rectangles, with the plane of the window glass well recessed from each rectangles’ face plane. But in Parcells (and Callahan)—in a design done more than a half-decade after Milam—he plays with them in a different way: the rectangles become less actors in an integrated planar facade, and instead turn into identifiable, separate rectangular volumes. These boxes, of various sizes and proportions, are composed in a complex interplay: it is Mondrian’s “neo-plasticism”—but this time in three dimensions. 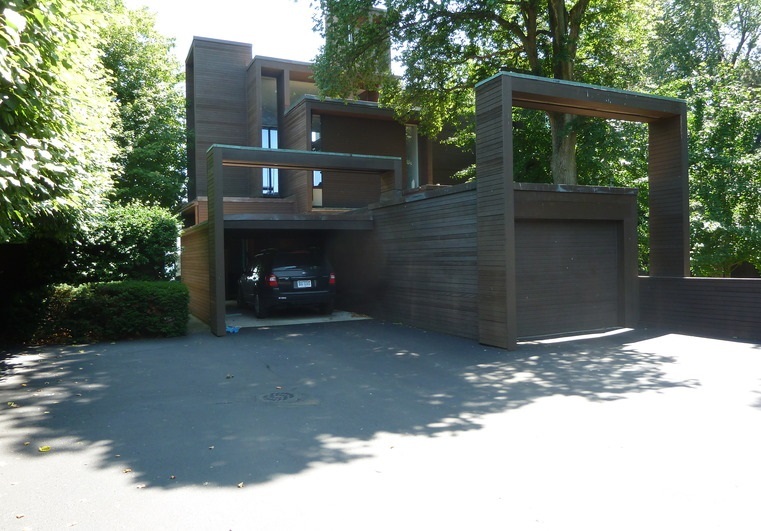 Some may claim that Rietveld’s Schröder House, of 1924, anticipated this three-dimensional exploration—but a careful viewing of that architectural icon will show that it is more about the play of planes than of volumes. A similar claim could be made for Frank Lloyd Wright’s Fallingwater, of the mid-1930’s. 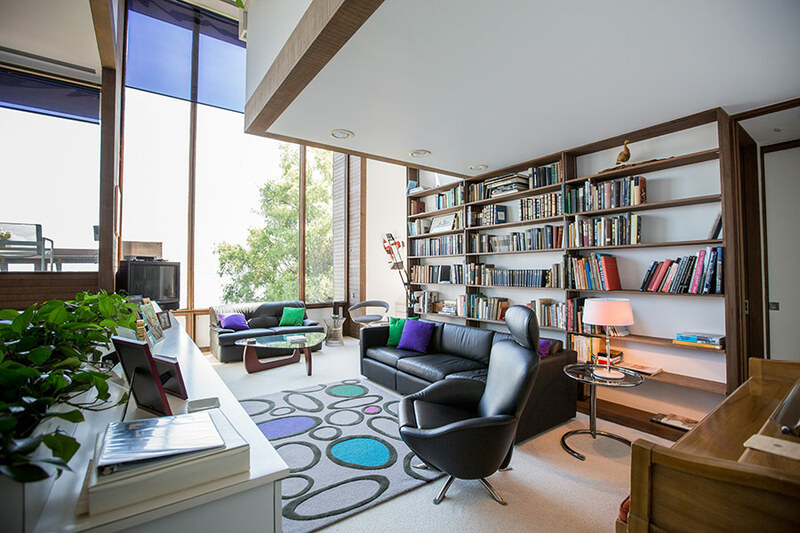 Wright is often cited as one of the two great influences on Rudolph (the other being Le Corbusier). We would never want to begrudge anything to Wright—that master and “force-of-nature”—but in this case, Fallingwater might not be a very relevant precedent. Fallingwater’s signature view shows giant, dramatically floating and separate volumes, rather than the interpenetration and close association of volumes that Rudolph achieves at the Parcells Residence. With all the citations of possible precedent and influences - the historians’ favorite game! 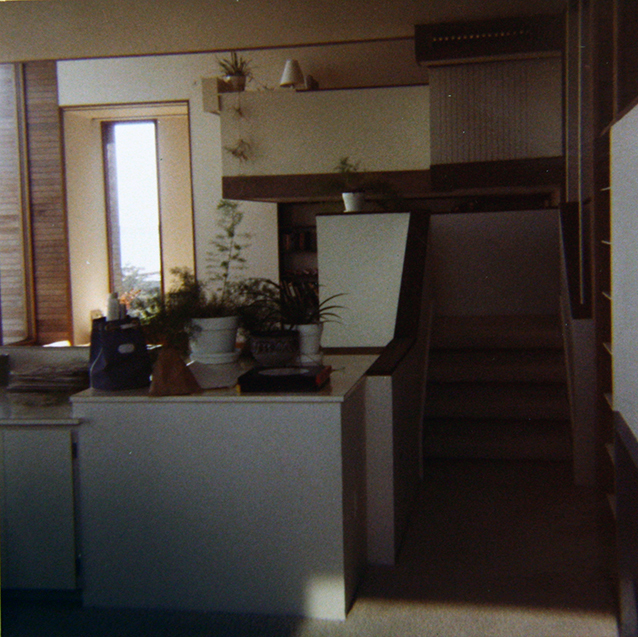 - perhaps it might be fairest to say that Paul Rudolph was working in a lineage (or a family) of forms & relationships that had been earlier pioneered by several of the founders of Modernism - works that Rudolph would be well aware of. 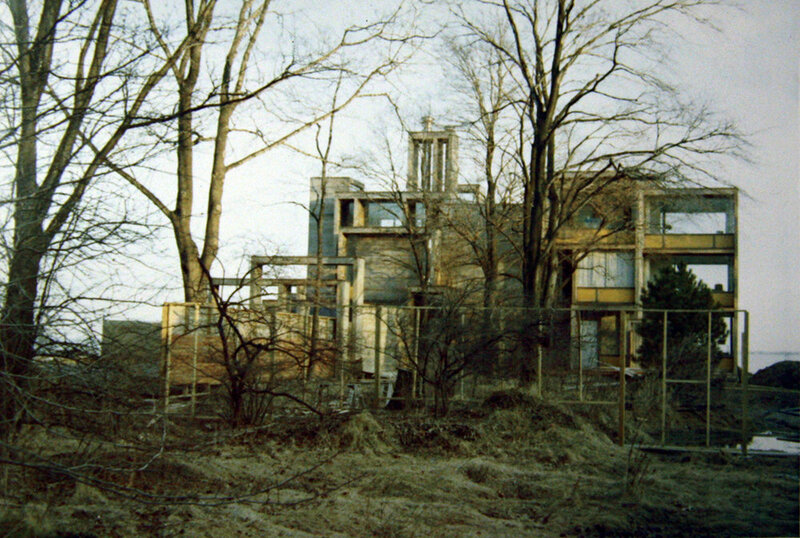 The house at 3 Cameron Place in Grosse Pointe was constructed in 1970 for Frank H. Parcells, his wife, Anne, and their five children. 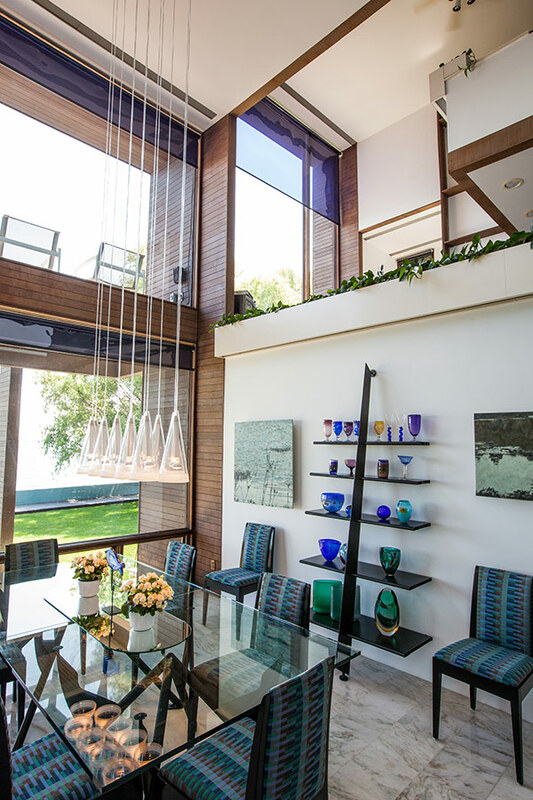 Desiring a contemporary design for their new home, the Parcells attended numerous open houses in the western Detroit suburbs and conducted research to hone in on their architectural likes and dislikes. 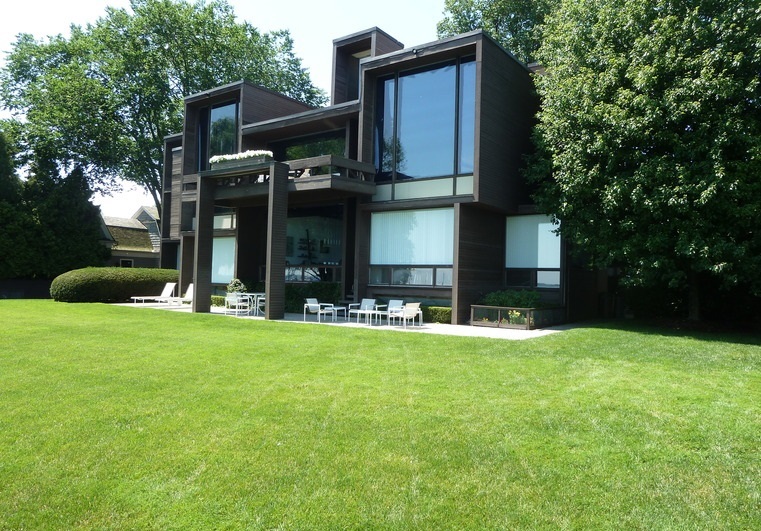 Acting on a friend's recommendation, they contacted and eventually selected architect Paul Rudolph for the commission. 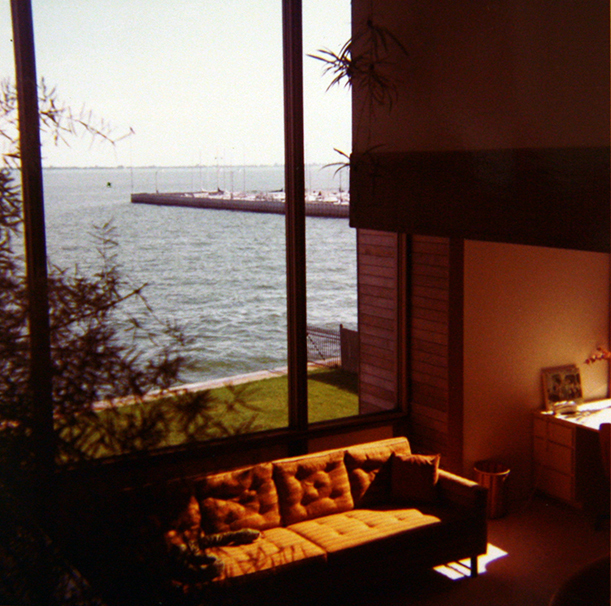 The Parcells' program for the new house included five bedrooms on multiple levels, an office with a separate entrance, views of Lake St. Clair from the kitchen and living room, and "lots of wood." Although the Parcells' home would be one of the first constructed in the new subdivision, they were sensitive to the fact that they would be inserting a contemporary design into a neighborhood that consisted largely of traditional Colonial and Tudor-inspired residences. 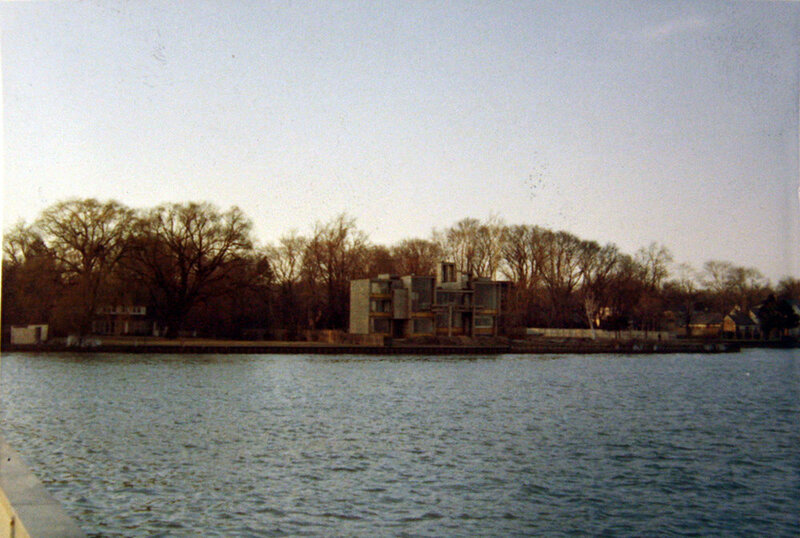 The lakefront property's location at the end of a cul-de-sac and its abundance of trees created a somewhat isolated setting and worked well to buffer the house visually from the rest of the neighborhood. 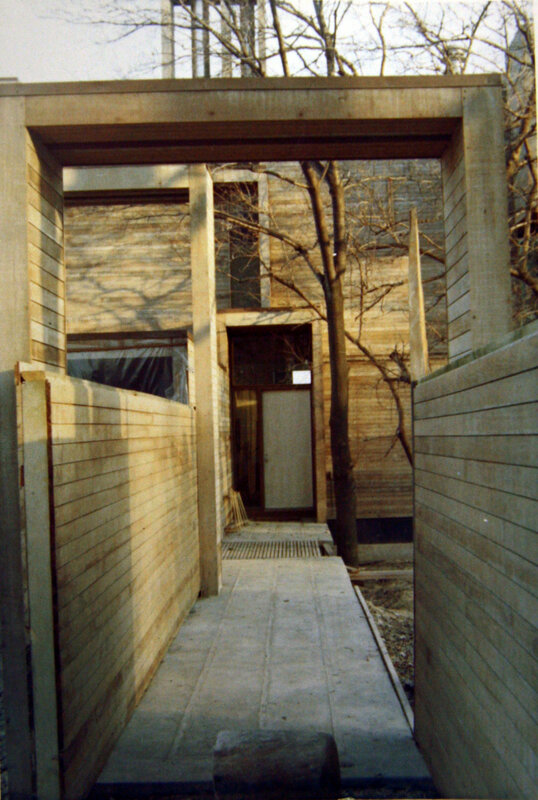 Construction of the residence proved to be a challenge for local builders. Ultimately, they prevailed and the Parcells moved into their new home in January 1970. The Parcells House is located in an affluent neighborhood in Grosse Pointe. The lake-front property is located at the extreme southern end of Cameron Place, and the house is sited in the center of the lot. Landscaping consists of a manicured lawn on the lake side of the property to facilitate views of the water from the house, while the rear, or street-side of the property, is heavily planted with large trees and bushes to provide privacy. The lot is accessed by a narrow drive extending from the end of the cul-de-sac. The house is barely visible from the public right-of-way. 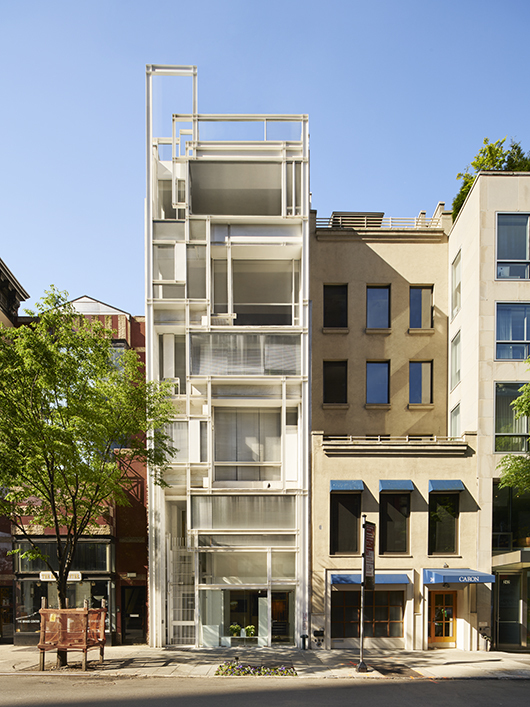 The three-story residence is sculptural in its form. The south elevation facing the water consists of a series of box-like projections, differing in size and shape and infilled with walls of glass. The tripartite window walls are recessed within the "boxes" and are divided by heavy muntins with a light-colored spandrel panel below. A porch supported by wide wood columns projects from the center of the elevation. The entire building is clad with horizontally oriented redwood boards painted dark brown. The north-facing elevation is made up of similar projecting boxes, however, there is much less glazing present. The boxes extend further from the central mass of the structure on this elevation. The extensions include two offset single car garage bays. For the context, it is worth looking at this aerial view. The Parcells Residence is at the bottom-center of this image (in this picture it has a pinkish roof) - and one can see its pleasurable relationship to the water. The circular drive (at top-center) is the cul-de-sac at the end of Cameron Place. 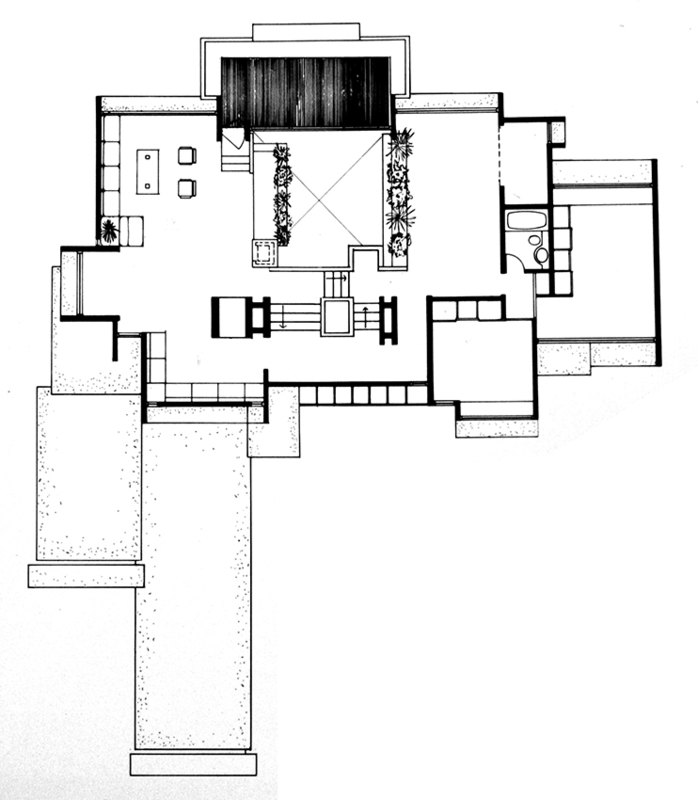 Below are some images of the house: drawings, and exterior & interior views. They convey the creativity and attention which Rudolph brought to projects like this.